You still have two months until your home removal. That’s a lot and you shouldn’t rush it. But there are certain actions to take in advance, to be sure your relocation goes smoothly. Start de-cluttering. Throw away, donate, or sell the stuff you won’t need at your new place. If you are currently renting, notify your Landlord, using the proper notice. Otherwise, your tenancy may not end legally. Check your tenancy agreement for details and information about your deposit protection. Investigate your new area. Check out for any local newspapers, blogs, or community websites. 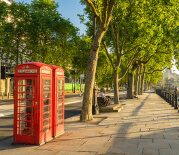 Read more about what are the best places to live in London, choose the area that best fits your needs. Start collecting free boxes. Here are few ideas how. Notify your land phone provider for the change. Tell them at least a month in advance if you are cancelling. Notify your internet provider for the same reasons. 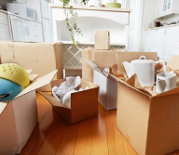 Moving day is nearing, but there is still time before you start packing. This is the time when you should start arranging a change of contacts, such as voting address, home insurances, and you should start looking for a removal company. You can always get a free quote from us and compare it with the others. Start looking for a removal company. Get several free quotes and compare. Book in advance to make sure the movers are free on the day you want to move. Check about parking restrictions on both your old and new address. A moving van can take a lot of space. Contact the HMRC and change your address. Inform your new local council, so you could vote at your new address. Register here. Notify the relevant authorities for tax purposes as well. More info here. 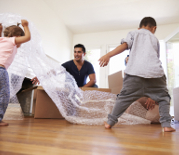 Purchase moving insurance to cover all your belongings during the move. Transfer your homeowners or renters insurance to your new home. Arrange your mail redirection. You can do it online. Only 14 days left. Now’s the time to start organising events. Schedule appointments with locksmiths and utility providers, arrange play dates for your pets and children, check your vehicle’s reliability. Check who to notify when moving. Have your car checked and serviced, especially if you are moving far away? Arrange for someone to look after children and/or pets at the moving day. Gradually start emptying your freezer from food. Notify your newspaper boy and the milkman to stop the deliveries. Deregister from your current GP and find a new one in your area. Send copies of school records to your children’s new school. Contact the DVLA to change your Driving License as well as your Vehicle Registration Certificate. Request time off work for the moving day. If you need extra room for your items, book a storage unit. Not much time left. Stay calm and follow your progress on the London moving checklist. Make sure nothing is forgotten. Check if you have missed a task you should have already done. Confirm date and exact hour with your moving company and provide them with directions. Contact a locksmith to schedule a change of the locks at your new home. Start disassembling any flat-pack furniture you’re taking with you. Get a safety deposit box. Put expensive jewellery, important documents, and other valuables for safekeeping until you relocate. If renting, set a final walk-through with your landlord to secure your safety deposit back. Start dismantling any fitted items that are coming with you (shelving, framed pictures, etc). Fill nail holes with a soap bar before conducting a final walkthrough with your landlord. Prepare entertainment for the kids. Colouring books, crayons, and games are a perfect distraction from boredom. Do not forget to direct your TV license. It doesn’t automatically change and you may be fined up to £1,000. Return any borrowed items to your friends and neighbours. Pay the council taxes for living in the property you’re moving from up to the date of the house move. Start unsubscribing from utilities and other domestic services. Pack and prepare things you can go without for a few days. Moving day is near. Doing this will help you decrease the time it takes to move house. Do the laundry for the next week. Label any spare keys to your old home and leave them at an easy-to-spot place. Make a box of essential first-days items. Toilet paper, cutlery, light bulbs, first aid kit, toiletries. Make a list of contact details about people and services you will be needing in the first days. Contact your existing and new electricity companies. Advise them of your new address and date of removal. Give at least 48 hours notice. Contact your existing and new gas companies. Advise them of your new address and date of removal. Give at least 48 hours notice. At least 48 hours notice is required by both your existing and your new authority to arrange for disconnection and re-connection of water supply. Measure doorways, stairways, and elevators at the new place to make sure all your furniture will fit. Measure twice – move once! 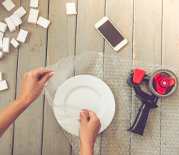 Prepare your jewelry, important documents, and items with value to you so you don’t lose them in the packing chaos. Make sure everything is organised for the packing day. Contact your estate agent/landlord to confirm when will you get the keys to the new place if you still don’t have them. Pack your documents and valuables and put them aside. You don’t want them to be lost in a random moving box. Disconnect any gas cookers, dishwashers, washing machines, and other appliances you are taking along. Prepare cash for the movers’ tip, food and other last-minute items. Check your cupboards and throw away any food with an expired date. Also make sure every packet, jar, and bottle is packed tightly. Tech savvy or not, take photos of how exactly your electronics are wired. It will save you a lot of time when you connect them back. Moving day is almost here. Start packing your belongings in the boxes you have acquired. It will be a long and exhausting day. Stay calm, go according to the moving checklist, and make sure everything is packed in the right place. Empty and defrost your fridge/freezer. Moving a fridge freezer sometimes requires more preparation than just one day prior to the move. Pack everything that you still haven’t, without the most essential items in the kitchen and bathroom. Or order our packing services. We will provide all the boxes and other packing materials needed. Put all your hardware in labeled baggies for easy furniture reassembly. Use colour-coded stickers to label each box according to the room they belong. Do a final check out. Go through all the drawers, closets, cabinets, and the garage. Make sure nothing is forgotten. Prepare a snack-box for the next day with dry food and refreshments. This is a big day. Make sure to get out of bed early and have a coffee and a full breakfast. Greet the removal men and explain to them in details how you want things done. Give them a helping hand if you can. They will appreciate it and the moving process will be smoother. Show the removal team which boxes they should transport. Leave your children and/or pets at the scheduled venues. Do one final cleaning at the place. Make a note of all meters reading. Make sure all windows and doors are locked and secured. 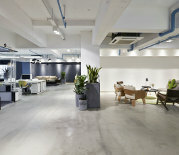 Take photos as you are leaving the place, to serve as proof to its move-out condition. Make another final check on the whole place, including the garden. Pack the last-minute items from the bathroom like toothbrushes, perfumes, hair conditioners, etc. Place your last-night sleepwear on top of the “Bedroom” box. The moving is over, but there are still a few more tasks in this moving checklist UK. Prepare your new place. Make sure nothing is left out at the old one. And relax. Your home removal is over. Return the keys to your old property to the landlord or letting agent. Make sure all the setup procedures for your new place are done – deposit protection, gas safety checks, EPC, HMO license, smoke alarm checks, etc. Check if electricity, water, and gas are running. If renting the new place, take pictures of the home’s condition for future proof. Offer refreshments to the movers, they would really appreciate it. Make sure the locksmith arrives and changes the locks. After everything is unloaded, make one last check on the removals van for anything forgotten. Sweep your chimney before you use it for the first time. Take a breather, order a take-away and enjoy your new place.